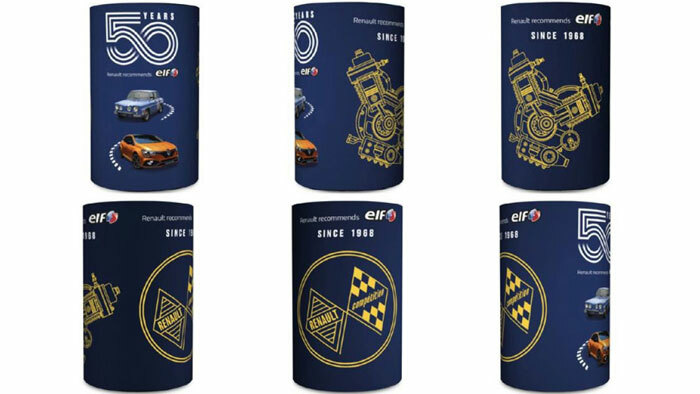 Total Lubrifiants, a leading global manufacturer and marketer of engine oils and lubricants, has introduced the new ELF Evolution RN-Tech line of co-branded lubricants, which covers all of the car models built by Renault in 2018. ELF has been working alongside Renault for 50 years. Spurred by a determination to stay ahead of market trends and showcase the latest technology advances, the partnership aims to enhance racing performance and everyday driving enjoyment alike. ELF’s commitment to motorsports also enables the partners to draw on recognized expertise to develop even more effective products, used daily by millions of motorists. Designed for performance and reliability, the new line of very-high-performance lubricants is marketed under both the Renault and ELF brands and meets the new RN17, RN17 FE and RN RSA carmaker standards. ELF leveraged its technological know-how to develop an optimized line, which features three co-branded oils that now cover all Renault car models built in 2018. The ELF Evolution RN-Tech Elite FE 0W-20 oil for the new Scenic IV MPV and the ELF Evolution RN-Tech Sport 0W-40 oil for the Alpine A110 are just two examples. Exceeding the latest technical and environmental requirements imposed by the European Automobile Manufacturers’ Association in the ACEA standards, the new line lowers fuel consumption by reducing engine friction, thereby improving fuel economy by up to 3%* with ELF Evolution RN-Tech Elite FE 0W-20. *As measured by the official M111FE fuel economy improvement test.